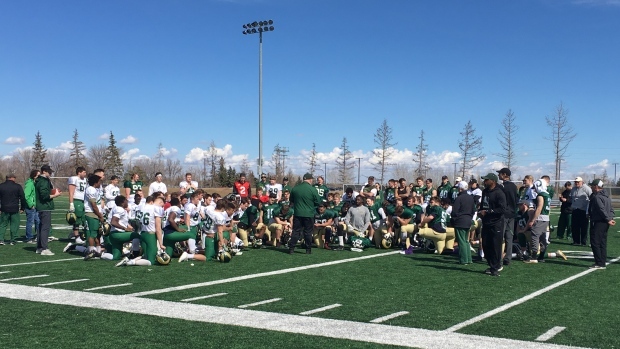 The University of Regina Rams returned to the field this weekend for the first time since a 2018 season filled with challenges for spring training camp. Rams head coach Steve Bryce said his team is looking ahead at this season, not back at a year that saw the team stripped of three wins due to a player eligibility issue along with several other hurdles. This year’s Rams team will look a bit different on the field after losing some key veterans, but Bryce said he’s confident young up-and-comers will rise to the occasion, especially after seeing some of the performances in the early camp. The Rams will open their 2019 football season in August.